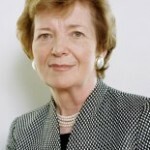 A talk by Mary Robinson, President of the Mary Robinson Foundation – Climate Justice. Part of the International Human Rights Lecture Series, co-sponsored by CIPS, HRREC and GSPIA. A talk by Senator Hugh Segal, Chair of the Special Senate Committee on Anti-Terrorism. Presented by CIPS as part of the National Security Research Project . Free. In English. RSVP to [email protected]. Coffee and snacks will be offered. A roundtable discussion with Nigel Roberts (World Bank) and Joe Ingram (North-South Institute), Pamela Scholey (CIDA), Yiagadeesen Samy (Carleton University), Christoph Zuercher(University of Ottawa), and other experts from IDRC, Carleton, University of Ottawa and NGOs. A talk by Steve Hewitt, University of Birmingham. Presented by CIPS as part of the National Security Research Project. Two-day event: By invitation only. Panel of experts featuring Carrie Wickham (Emory University), Nathan Brown (Carnegie Endowment), Crystal Ennis (University of Waterloo), Franck Salameh (Boston University), Peter Jones (University of Ottawa) and Costanza Musu (University of Ottawa). A talk by Keith Jeffery, Queen’s University, Belfast, Ireland. Presented by CIPS and the Canadian Association for Security and Intelligence Studies (CASIS). Half-day conference and experts panels. A panel with Auguste Mampuya, International Court of Justice in The Hague, and Martin Fayulu, Member of Parliament in the Democratic Republic of the Congo. Presented by CIPS and the Réseau d’actions Nord Sud. Is the United States in Decline, and Should We Care? A talk by Christopher Preble, Cato Institute. A talk by Pierre Razoux, NATO Defense College. Presented by CIPS and the Graduate School of Public and International Affairs . Free. Registration not required. In French. A talk by Ron Krebs, University of Minnesota. A talk by Andrew O’Neil, Griffith University, Australia, and James Manicom, Balsillie School of International Affairs in Waterloo, Canada. A panel discussion featuring Arthur Porter, Susan Pollak, Pamela Wallin, Mel Cappe, Paul Kennedy, Reg Whitaker, Jeremy Littlewood and Wesley Wark. Presented by the National Security Research Project at CIPS. A talk by Éric Pineault, UQÀM. International Political Economy Network Speakers Series, presented by CIPS. A talk by Thierry Tardy, Geneva Centre for Security Policy. A talk by Jennifer Welsh, Oxford Institute for Ethics, Law and Armed Conflict. A talk by Peggy Hicks, Global Advocacy Director, Human Rights Watch, New York. International Human Rights Lecture Series, presented by CIPS, HRREC and the Graduate School of Public and International Affairs . A talk by Alan Dowty, Notre Dame University. A talk by Meredith Turshen, Rutgers University. International Human Rights Lecture Series, co-sponsored by CIPS and HRREC. A talk by Leonard Seabrooke, Copenhagen Business School. A workshop featuring Phillip Cole, Jorge Valadez, David Robichaud, Megan Bradley, Peter Showler, David Petrasek, Harald Bauer, Christina Gabriel, Laura Macdonald and Patti Tamara Lenard. A panel discussion featuring Greg Fyffe, Paul Robinson, Barry Cooper and Wesley Wark. Presented by the National Security Research Project at CIPS, in association with the Graduate School of Public and International Affairs. 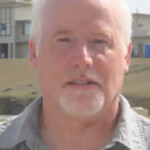 A talk by Keith Martin, Member of Parliament for Esquimalt-Juan de Fuca. A talk by Jeremy Levitt, Distinguished Professor of International Law at Florida A&M University College of Law. A talk and book launch by Errol Mendes, University of Ottawa. Free. Registration not required. In English with a bilingual question period. A talk by Ian Hurd, Northwestern University. Women, Canada and the World: Is Canada Failing? A panel discussion featuring Rieky Stuart (McLeod Group), Sandeep Prasad (Action Canada for Population & Development), Leilani Farha (Centre for Equality Rights in Accommodation) and Ian Smillie (McLeod Group); chaired by Huguette Labelle (Chancellor, University of Ottawa). A talk by Ronnie Lipschutz, University of California-Santa Cruz. A talk by Rajiv Chandrasekaran, senior correspondent and associate editor, Washington Post. Presented by CIPS, the Conference of Defence Associations Institute, and the Canadian International Council, National Capital Branch. A talk by Thomas Bernes, Centre for International Governance Innovation. 2011: Turning Point or Tipping Point in Canadian Foreign Policy? A talk by Kim Richard Nossal, Director of the Centre for International Relations at Queen’s University. JACK LAYTON, Leader of the New Democratic Party of Canada. Free. Registration not required. In English and French. A talk by Paul Meyer, former Ambassador of Canada for Disarmament. 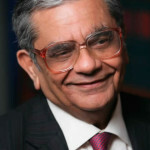 A talk by Jagdish Bhagwati, Columbia University and Council on Foreign Relations. Roundtable discussion, Fragile States Research Network, University of Ottawa. A talk by Andrea Meloni, Ambassador of Italy to Canada. This free event will take place in English with a bilingual question period. Registration is not required. Book launch for Bob Rae, Member of Parliament for Toronto-Centre. A talk by Eric Helleiner, University of Waterloo. Presented by the International Political Economy Network and CIPS. This free event will be in English. Registration is not required. A talk by Séverine Autesserre, School of International & Public Affairs, Columbia University. 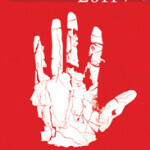 Presented by CIPS and the Conflict and Human Rights Program . This free event will be in English and French. Registration is not required. A talk by Alex Neve, Secretary-General of Amnesty International, Canada. Presented by the University of Ottawa’s International Human Rights Speaker Series, co-sponsored by CIPS and the Human Rights Research and Education Centre. A talk by Philip MacKinnon, former Canadian ambassador to Iran and Egypt. A talk by Philippe Bourbeau, CIPS Postdoctoral Fellow, University of Ottawa. This free event will be in French. Registration is not required. A talk by Jeffrey Checkel, Simon Fraser University. US Midterm Elections: How Will They Change the Political Landscape? Panel discussion featuring Michael Kergin, Jeffrey Simpson and Jordan Stancil. Debate – Should Canada Buy F-35 Fighter Jets? Presented by CIPS and the Canadian International Council (National Capital Branch). A talk by Prosper Bernard, CIPS-Fulbright Chair on Governance and Public Administration. This free event will be in English. Registration required. Canadian Foreign Policy: Where Do We Go From Here? A talk by David Bercuson, University of Calgary. A talk by Richard French, CN–Paul M. Tellier Chair on Business and Public Policy, Graduate School of Public and International Affairs, University of Ottawa. Presented by CIPS and the CN–Paul M. Tellier Chair on Business and Public Policy. What is the “Middle East”? A talk by John Bell, Toledo International Centre for Peace, Madrid. Canada and the UN Security Council: Now What? A panel discussion featuring Yves Fortier, Louise Fréchette, Paul Heinbecker and Allan Rock. A talk by Grant Kippen, Centre for the Study of Democracy, School of Policy Studies, Queen’s University. Presented by CIPS and the School of International Development and Global Studies.This free event will be in English. Registration is not required. A talk by Yu Shyi-kun, former Premier of the Republic of China. Presented by CIPS and the Department of Sociology andAnthropology.This free event will be in English. Registration is not required.